The holidays are upon us and that means it’s time to stress out over gift-giving. For the fitness buff (or wannabe) on your gift list, these gift suggestions will be right on target. 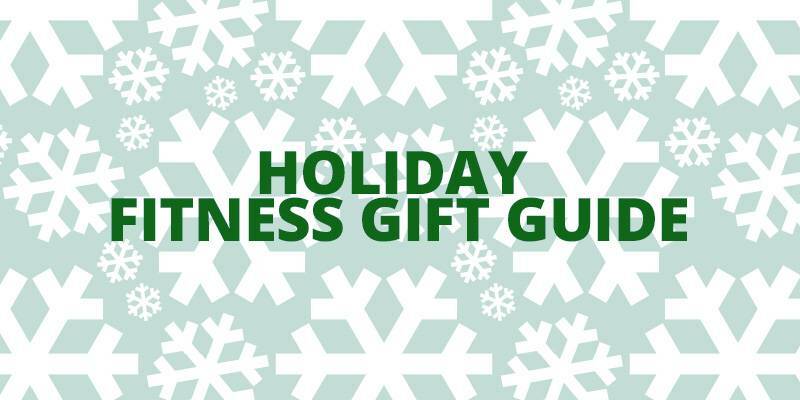 If your giftee lives in a large city or travels, a ClassPass can provide the perfect opportunity for trying new classes and diversifying their workout regime. ClassPass grants the holder access to over 8000 gyms around the world, with most memberships centered around large cities which offer almost every type of class you can think of. With the pass one can take that $30 Megaformer class for half the price. 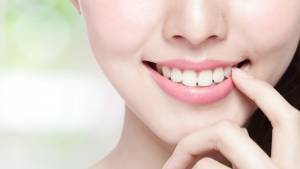 A $135 plan offers 10 classes per month and you’re usually limited to 2 classes per location per month, but you can always go back the next month. This hooded jacket, available for men and women, is lightweight and warm, yet unobtrusive for a morning run or your early morning workout. It’s made for men and women and has a nice, tailored fit. 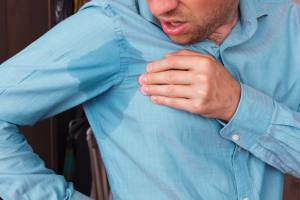 It’s ideal as a wind resistant layer for warm weather activities. 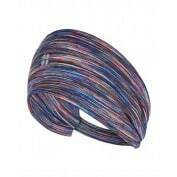 This headband is sold by Sweaty Betty and will keep your hair out of your face and keep your ears warm, making it that much easier to focus on your winter workout. Three years ago I purchased the Polar M40, one of Polar’s first heart rate monitors and activity trackers. 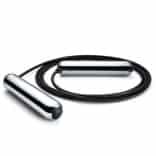 It keeps track of and targets your heart rate, tracks calories burned and activities. 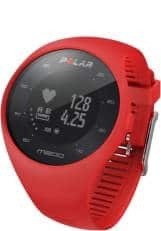 What makes the M200 superior is that Polar has done away with the chest strap heart monitor and now tracks the heart rate through your pulse. In addition to heart rate, it continues to provide a plethora of information including GPS to accurately track your runs (pace, distance, and altitude), activities, number of calories you’ve burned based on your weight, height, age, gender, your individual maximum heart rate and how hard you’re training, sleep quality and more. Its Bluetooth technology synchs to your phone and is water proof. Maybe it can order pizza too? This kit is a fully collapsible, transportable training system developed by a group of soldiers so they could conduct heavy strength training while deployed in Iraq. 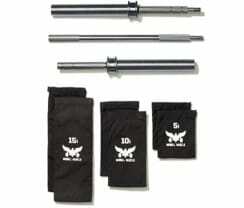 And it does the job, with more than 315 pounds of weights, including a barbell and sandbags. Would definitely give you a killer workout anywhere. Most cycling shorts that include padding and support come in the form of tight, colorful spandex numbers that make you stand out for all the wrong reasons. 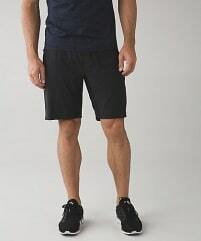 Leave it to Lulu Lemon to deliver shorts that are comfortable and provide protection but won’t draw smirks and glances from the cute ladies at the bike shop. Let your giftee snack smarter! They can now enjoy heart-healthy options thanks to Theo Chocolate’s new Chocolate Clusters. Covered with 60 percent chocolate, the clusters are a combination of crispy quinoa, toasted coconut and 50 milligrams of cocoa flavanols. Cocoa flavanols are naturally found in cocoa beans and can contribute to heart health by supporting healthy blood flow. The organic, Fair Trade, vegan, kosher and gluten-free treats come in three flavors: Salted Almond, Turmeric Coconut and Lemon Hemp. This is the evolution of the classic jump rope. It tracks your jump count, calories burned and gives interval training recommendations. It also synchs with your cell phone and apple watch. It comes in a range of sizes to accommodate to everyone. Like a tireless master it will make you jump higher and faster. 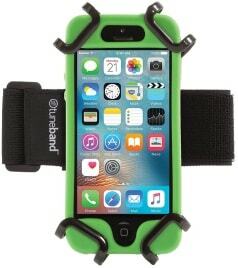 There are hundreds of armband smartphone cases out there for bringing your phone with you on a run or a workout. This is because manufacturers typically designed a bunch of different models to fit specific phone makes and sizes. This means you’ll end up having to get a new armband when it’s time to upgrade to a new device. That is, unless you get a TuneBand Go. This armband offers universal compatibility because its rubber hooks are adjustable to fit phones from 5 inches to 6.5 inches in size. It also accommodates cases. It’s actually recommended that you use a case if you’re concerned about the clips making direct contact with your phone’s display. It’s billed as an intelligent yoga mat that helps take your Yoga practice to the next level. This high tech mat tracks your form and connects with your phone via a free app to tell you when you’re out of balance. It can be used at home or in a class—and is even hot yoga-friendly! Somehow Yoga and technology sounds like an oxymoron but I’m sure Yoga buffs would love it. 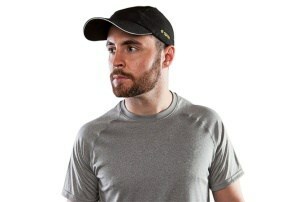 Another interesting find is the baseball hat that tracks your heart rate, calories burned and body temperature. It has a sensor that syncs with your phone for real-time feedback. 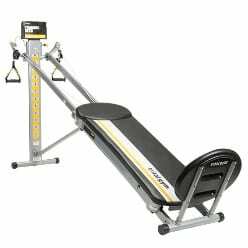 The newest addition to the Total Gym workout family features twice the resistance levels as other Total Gym home exercise machines. It has a sleek new look and the workouts are easy to follow, fun to do and have the right amount of motivation to keep you on your path to success. 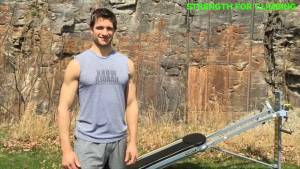 Personally, I think these machines allow for incredible total body workouts, working every muscle. The price tag makes this a gift for someone very special on your list. Benita Perkins – is a widely acclaimed health and wellness branding expert focusing on the fitness needs of women and the special demands they must overcome to step into a lifetime of healthy living through fun, interactive lifestyle events. Her company, Bennie Girl Health & Wellness Branding & Events, works with businesses and organizations to associate their brands and products with a healthy lifestyle, by identifying opportune events to participate in and activities that will best define and communicate the organization’s mission.